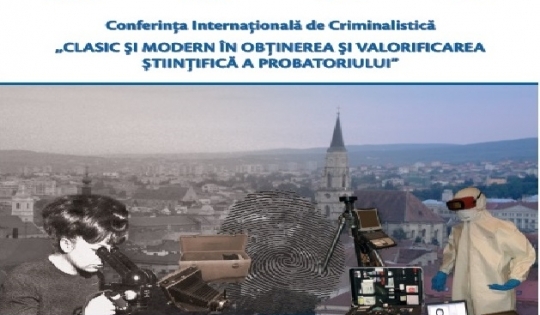 Amped Software will be attending an International Forensics Conference in Cluj-Napoca, Romania on May 13 to 15, organized by the Romanian Body of Forensic Experts “Aurel Boia”, Romanian Society of Criminology, Criminology and Penology (Transylvania Branch), Cluj County Police Inspectorate, the University of “Babeş-Bolyai” Faculty of Law, University Bucharest Faculty of Law, the Prosecutor of the Court of Apel Cluj, the National Institute of Forensics I.G.P.R, the National Institute of Forensic Experts Bucharest, the Prosecutor of the Court of Apel Alba, the International Police Association – Secţia Română . Over 200 guests: forensic experts, prosecutors, judges, lawyers, police officers and other specialists from Romania, USA, Germany, Italy, Poland, Slovakia, Israel and Hungary, will attend training sessions and debates. Amped Software has been invited to present a seminar on May 14 on the latest techniques in video and image analysis and enhancement as well as image and video authentication. This entry was posted in Announcements, Events on May 11, 2015 by Darlene Alvar.